Lying on the eastern part of the Indochinese peninsula, Vietnam is a strip of land shaped like the letter “S”. China borders it to the north, Laos and Cambodia to the west, the East Sea to the east and the Pacific Ocean to the east and south. You will eat, sleep and learn about living activities at residents’ homes where you come during your homestay tours. This kind of tour is for those who like discovering, experiencing and learn about customs and practice of various cultures. Local houses are made of wood. They are very simple. Beds are not very comfortable, and rooms can be very noisy. But sleeping with locals in such a remote place is an experience I do recommend. Bring insect repellent and ear plugs. You will feel like returning to nature and experience interesting things of simple life. 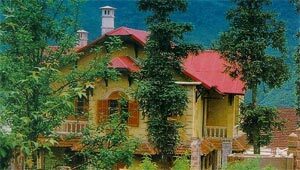 Homestay tourism has developed in Mai Chau of Hoa Binh northern province, Buon Me Thuot in the Central Highlands, Sapa and some provinces in the Mekong River Delta. 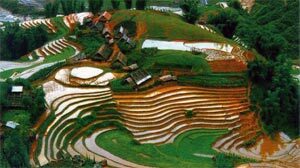 Mai Chau, about 135 kilometres from Hanoi and about 60 kilometres from Hoa Binh town, the capital of Hoa Binh province. From Cun Mount Peak, you can have an overview of Mai Chau set in green valleys and stilted houses of ethnic minority people. The stilted houses are quite large. They are roofed with palm trees and their floors are made with bamboo. Tourists will stay at one of these houses.In Mai Chau, you can join trekking tours around villages and exchange with ethnic minority people through festivals with traditional dances and gong music. In the Mekong River delta, homestay tour is also one of tourists’ favourites. Mr Ngyen Minh Quyen, head of the inbound section of Ben Thanh Tourist Company said: “Before, when talking about homestay, travel companies used to organise tours to Mai Chau in Hoa Binh. Now, travel companies often choose the Mekong River delta to introduce to tourists. The reason is that tourists have more information about this region and they particularly like learning about life of residents in the river region. They like travelling by boat, calling at handcraft villages, doing the garden work and making cakes with the locals.” The Mekong River delta promises to be an attractive place for a large number of tourists in the future. Homestay tours in the river delta are suitable for tourists who do not have much time to travel. Increasingly many sections of Vietnam from Sapa and My Chau in the North to Kontum and Pleiku in the Central Highlands to Vinh Long, Cai Be and many places in the Mekong Delta are developing a new option for foreign accommodations – home stays. For most of the first class travel set, this is not what they are seeking but for those with a taste for adventure and a desire to learn more about Vietnam – it’s people and it’s culture, home stays can be a very good choice.